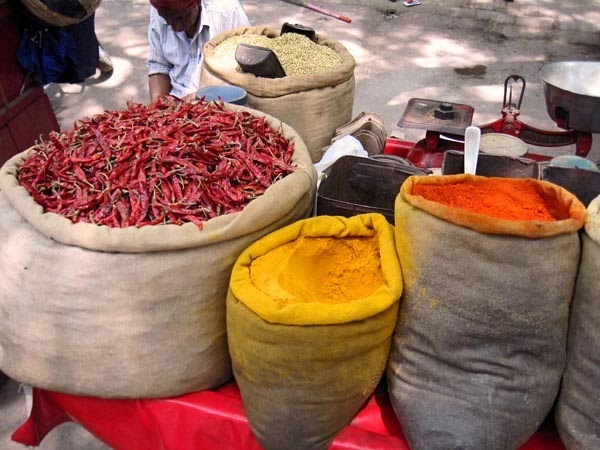 Here is a vendor selling spices in an open outdoor market. Every spice from turmeric and red chilly powder to cinnamon and cloves and coriander seeds. Another spice vendor sitting with sacks of spices like dried red chillies, coriander seeds, turmeric powder and red chilly powder. A manual weighing scale in the background. 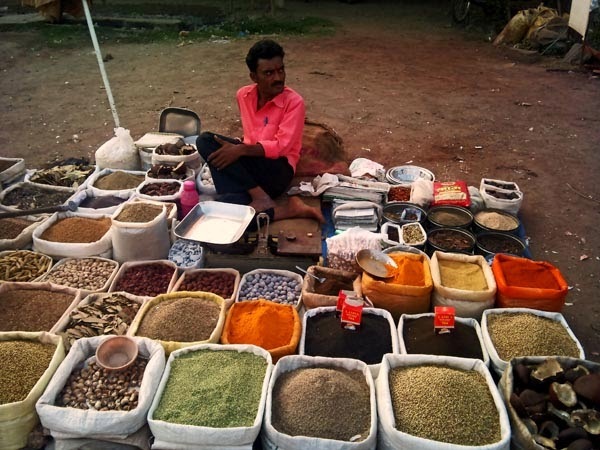 More photos: Herbs and Spices in boxes or Chaat or savory snacks in India or check out all the photos filed under the label Food or all photographs of vendors.